This standard is limited to analyzing the progression of severe accidents from the onset of core damage through radionuclide release to the environment or a determination that a release to the environment will not occur. It includes the analysis of the various phenomena that occur inside the reactor vessel, the containment structure, and neighboring structures that might participate in the radiological release pathway to the environment. This analysis involves carrying the postulated accident sequences through a probabilistic logic structure such as a containment event tree (CET) (or equivalent) and determining the radionuclide release characteristics (e.g., magnitude and timing) for the various pathways through the CET. 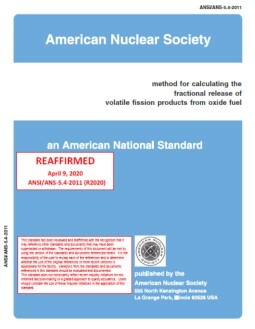 This standard includes postulated accident sequences initiated from all modes of reactor operation (at-power, shutdown, and transition states). 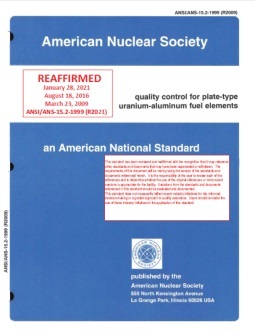 It also includes accident sequences initiated by internal events and/or external hazards addressed in ASME/ANS RA-Sa-2009, Standard for Level 1/Large Early Release Frequency Probabilistic Risk Assessment for Nuclear Power Plant Applications.